Results of the Gabriola Island Fixed Link Feasibility Study conclude that while a bridge appears to be technically feasible, it would not be a cost-effective alternative to the current ferry link. 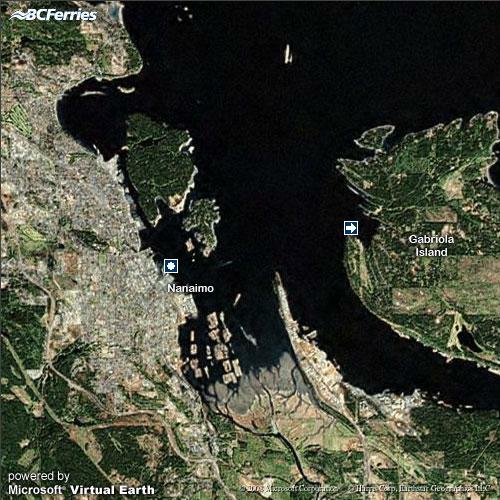 Because of this, the Government of British Columbia will not consider a fixed link to Gabriola Island at this time. The study examined alignments, road connections, construction cost, operation and maintenance costs, travel time, reliability and flexibility for potential users. It also includes a high‐level assessment of the socio-economic and environmental impacts of such a connection. Feasible options were evaluated against the existing ferry service. The study confirms that a number of combinations of possible road and bridge options exist, ranging in cost from $258 million to $520 million. The average estimated project cost is $359 million, on which the business case was based. However, the costs outweigh the measured benefits. Beyond the business case, the study notes there are other significant considerations for government if the project were to proceed, including archaeological and environmental conditions. The report was prepared for the Ministry of Transportation and Infrastructure by CH2MHill.